No doubt you’re aware of the statistics on obesity in humans, but it may surprise you to know that our dogs are similarly afflicted. Over 40% of pet dogs are obese, and many people aren’t aware of the harm it does to their much loved pet. Research shows that dogs that have a healthy body weight will live up to 15% longer than an overweight animal. Heart disease. It’s not easy for a heart to pump blood around an overweight body, and the result can be heart failure. As with people, obesity is often accompanied by high blood pressure, and overweight dogs have an increased risk of heart attack. Obese dogs are more likely to develop diabetes. If your dog has this disease, you’ll need to give him insulin by injection every day and carefully manage his food intake. It’s a lot of work, and can play havoc with your family budget. A dog’s legs can become very sore if they have to carry around excess weight. Arthritis and degenerative joint disease are common in obese dogs, and it can really affect his quality of life. Dogs love their walks, but not if it hurts! How Can I Tell if My Dog Is Obese? Feel your dog’s body – you should be able to feel each rib as you run your hands along their chest. There should also be an obvious narrowing of the body just behind the ribs. If you’re in any doubt, your vet will be able to guide you. It’s easiest to prevent your dog becoming overweight in the first place, than it is to get the excess weight off your dog. However, if your dog is already obese, it’s not too late to do something about it. One part of obesity control is watching your dog’s food intake. If he doesn’t use up the calories he takes in, they’ll make their way to his waistline. It’s important to cut back on your dog’s food intake if you’re trying to help them lose weight. This means no treats, no between meal snacks, and no leaving a bowl of kibble out for him to graze on all day. The second part of managing your dog’s weight is exercise. Increasing his exercise will help to use up the calories he’s eating, and also to use calories that are stored as body fat. Regular exercise is important in any weight loss program. Take care to choose an appropriate exercise program. Walking can be uncomfortable for overweight dogs, and they may not walk far enough to use up many calories. A good alternative is swimming, or walking on an underwater treadmill. In both cases, the water helps support your dog’s body weight, and he can exercise for longer. Regular exercise is known to lift the mood of people, and there’s no reason why it shouldn’t have the same effect on our dogs. Dogs that can burn up their energy and explore their neighborhood during a walk are happy and settled. 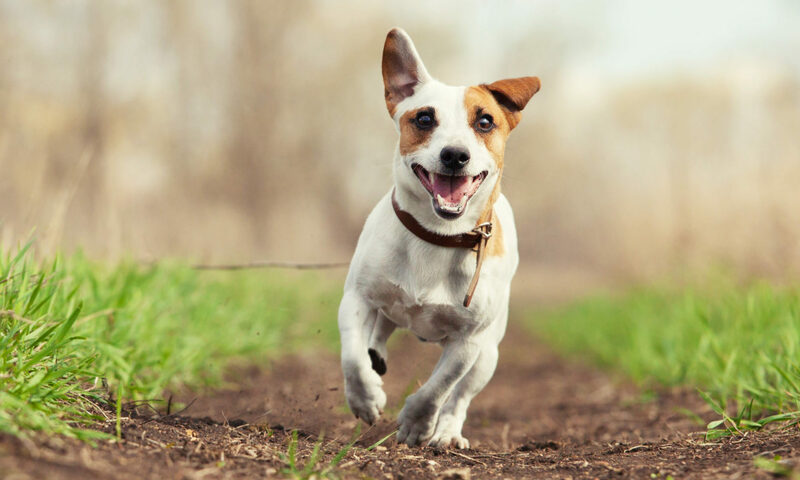 Researchers also agree that people who exercise their dogs regularly are also exercising themselves at the same time, which is good for their own health. Helping our dogs lose weight isn’t easy, but you are in control. You can manage what goes into your dog’s mouth, and you can manage how much regular exercise he gets. Put the work in, and your dog will not only live longer, but his quality of life will be much better.